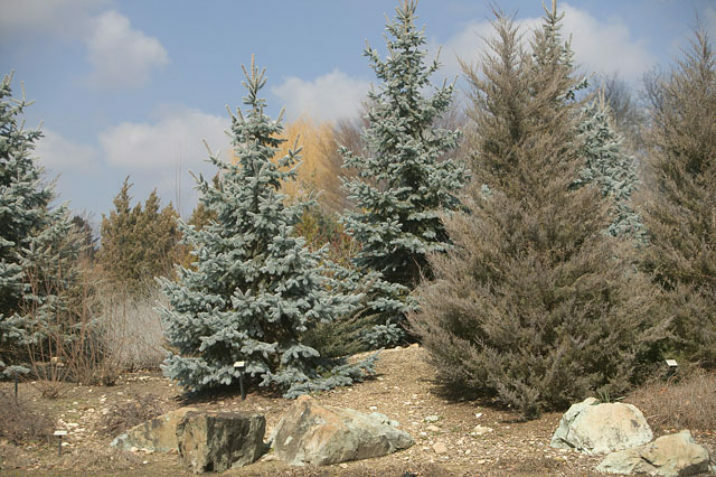 Picea pungens 'Hoopsii' is a robust, upright-conical selection of Colorado Blue spruce with uniformly tiered branching that holds dense, intensely Blue needles. 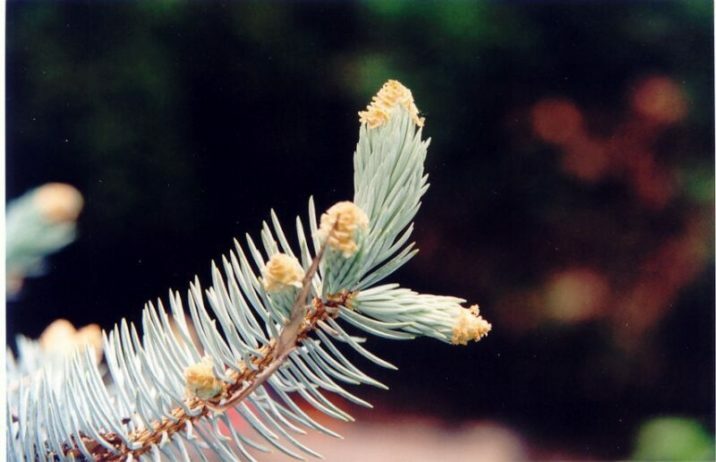 Many claim that 'Hoopsii' is perhaps the Bluest cultivar of the species. However it comes with drawbacks — It is notoriously difficult to graft and to form into a shapely plant. 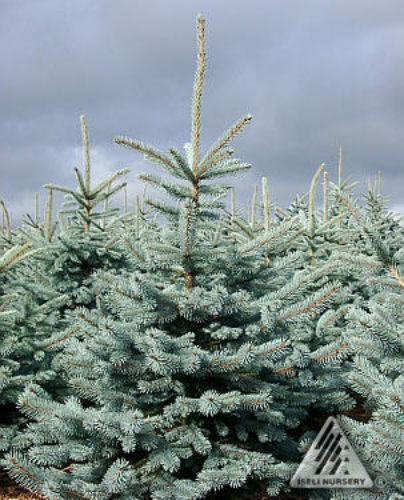 It also has a tendency to develop multiple leaders, so if a uniform, conical shape is desired, you have to monitor new growth at the top in early summer and selectively prune out redundant lead shoots. After 10 years of growth, a mature specimen will measure 6 feet (2 m) tall and 4 feet (1.3 m) wide, an annual growth rate of 6 to 8 inches (15 - 20 cm). This cultivar originated as a seedling selected in the mid-1950s at Hoops Nursery in Germany, and was introduced to the nursery trade by F.J. Grootendorst nursery, Boskoop, The Netherlands. 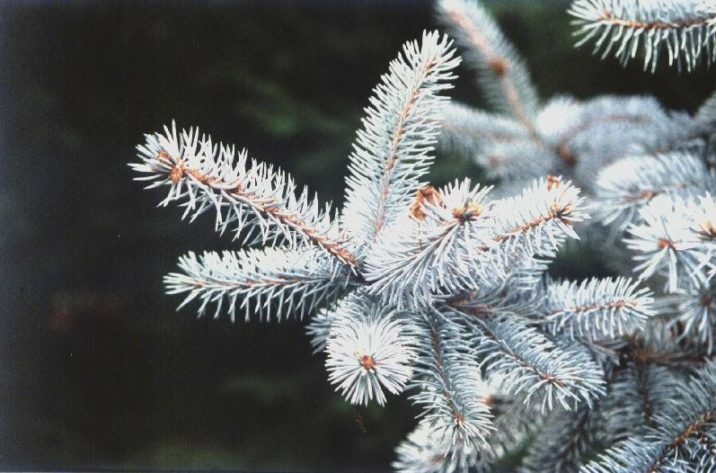 Picea pungens 'Hoopsii' — a closeup of foliage detail. Picea pungens 'Hoopsii' — fresh shoots in early spring. 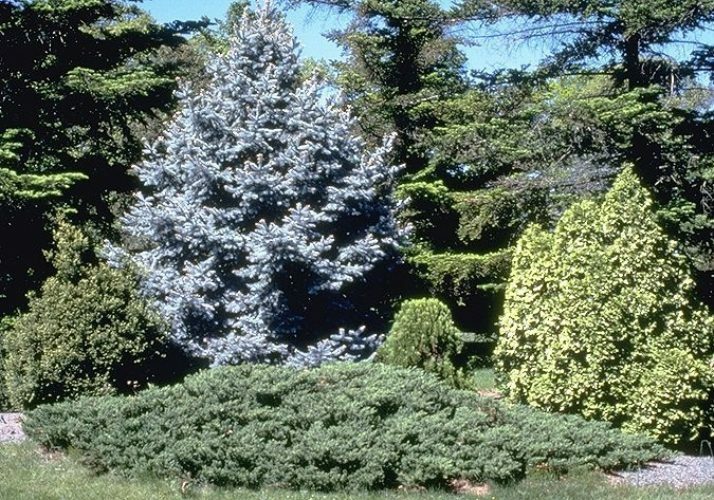 Picea pungens 'Hoopsii' — long, thick, bright silver-blue needles give `Hoopsi' its bluest of blue color. A superb, stately mature plant, uniformly staked to insure an attractive upright habit. 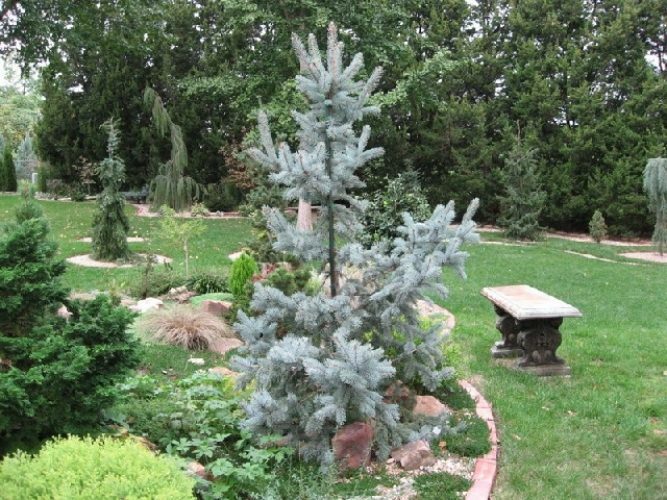 Picea pungens 'Hoopsii' — a stunning mature specimen in an arboretum setting. 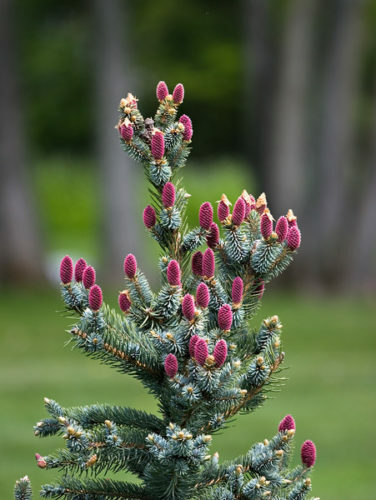 Picea pungens 'Hoopsii' — photo copyright of the Wildlife & Conifer Garden.